We’ve been sharing here the many ways Shakespeare has changed or influenced our lives, and as a finale I wanted to share the moment Shakespeare first made sense to me. I’ve said many many times that the Animated Tales series from the BBC is what got me interested in Shakespeare, but that’s only part of the story. I attended a dance conservatory when I was younger, and that summer we were performing songs from West Side Story so we knew the story of that musical by heart. It was a Friday tradition that my father would take my brother and I to rent a video apiece for the weekend, and one time I noticed the colorful cover of the animated Romeo and Juliet. As I watched the (accelerated for 25 minutes) plot unfold, so much made sense! Not all of the words, at first, I had to watch it again, but the whole story was exactly what we were performing at the conservatory! Elated, I sprinted to my parents’ room to relate my discovery. It turned out that my father had an old script which was West Side Story and Romeo and Juliet in one slim volume. I sat right down in my room and read both in one night. That last part my mother swears is true. All I know is that I came to Shakespeare through the timelessness of the stories, and the relatability of the characters. It’s still my fascination with Shakespeare that so many of us find a connection with him through the fictional people he penned. Welcome to a new school year – I hope that you get to experience this sort of moment with your students, and that you’ll share it with us when you do! Until then, when did this sort of moment happen for you? Lucretia’s blog about how Shakespeare changed her life has prompted me to write my own entry about how Shakespeare changed mine. Like most students, I was introduced to Shakespeare in high school. We studied Macbeth and had to memorize a passage from it to deliver in front of the class. I still remember the passage (“Tomorrow, and tomorrow …”), but it’s the reaction from my fellow students that stays with me. They really sat up and took notice, and I think that attention led me to try out for the school play (West Side Story). That experience has resulted in a life-long love affair with Shakespeare’s plays. Shakespeare’s plays stayed with me through undergraduate school, and in graduate school I had the opportunity to read Titus Andronicus for the first time. No one in the seminar wanted to read the play, but I volunteered to read and research it and present my findings to the group. What a play! Blood, guts, and violence. It became my favorite. The beauty of the language to describe some of the most horrific events in Shakespeare took the wind right out of me. It’s a play I often taught to my students, and I think it led them to really get into Shakespeare. In fact, from time to time I see former students and they almost always mention the play. Shakespeare’s plays have been an important part of my professional life, to be sure. I thank Fred Davis, my high school teacher, for introducing me to Shakespeare. Who gets your thanks? Director Melinda Hall has been working on a documentary on the subject of How Shakespeare Changed My Life. The promo clip featuring F. Murray Abraham, Sir Ben Kingsley, Stacy Keach, Michael Kahn and other noted Shakespeareans is currently circulating on the web. The most inspirational segment for me was Earle Hyman (whom I remember as Bill Cosby’s dad on the Cosby Show) telling of how he grew up in North Carolina without a library that was open to African Americans- until one day a community center opened and when he finally had access to books, he asked for the largest one in the library. Behold he was given The Complete Works of Shakespeare and it changed his life. I was introduced to Othello in my high school drama class, where we then performed at the Folger Secondary Festival. An absolutely life changing experience for me, along with my current husband (then boyfriend) giving me my own copy of the Complete Works the year he attended the festival before me. Both experiences have forever changed the course of my life and fueled my love affair with words. It has been a personal triumph to be able to offer the students we work with the opportunity to have life altering experiences through exposure to Shakespeare. How has Shakespeare changed your life – and the lives of your students? How Shakespeare Changed My Life, 5 minute clip from Melinda Hall on Vimeo. What I especially appreciate about his performance is that Meskin chose which voices to use based on the content of the line and how well it would relate to the character. It’s not so hard to apply Shakespeare’s words to our own lives: a soliloquy can capture our soul when we have no words for what is happening, a voice can speak to us across centuries with new and different meanings! Have you seen, or used, Shakespeare in application to today’s news or experiences? How could students use celebrity references, music, or world news to relate to Shakespeare? 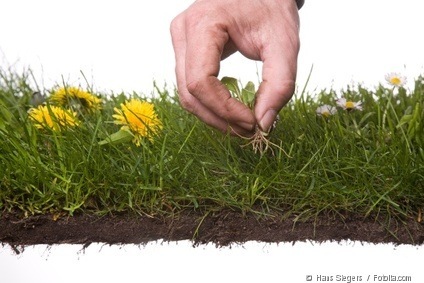 As I’ve just spent several hours in my garden doing quite an onerous task, I had this thought: Shakespeare may have avoided spending lots of time back home with Ann and the kids to avoid something that all suburban homeowners know only too well–weeding. And then there’s this news report which claims that our playwright may have had some added inspiration of the chemical kind. OK, now I’ve got to get back to my “unweeded garden” because something is rotten there. The spirit of Shakespeare is everywhere. This made me wonder about other countries’ contributions of “Shakespearean” landmarks. There is an Elsinore in Denmark, and Juliet’s Balcony in Italy, but what about Dunsinane castle? Would you visit the Forest of Arden? Is there a Caribbean Island claiming to be the scene of The Tempest? 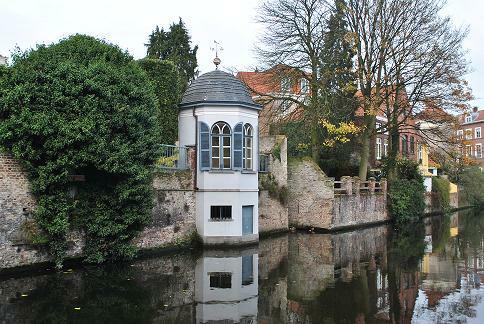 Do you know of any “Shakespearean” landmarks in your travels? At a recent Theatre Library Association conference, I had the good fortune to meet Irene Dash, author of Shakespeare and the American Musical (Indiana University Press, 2009). I hadn’t heard of the book, so I asked for a copy to read. It’s a good read. To quote from the Coda, the book “… addresses a particular period in American theater history when the musical and Shakespeare’s plays met and developed. It follows the history of those meetings against the constantly changing American scene. More importantly, Shakespeare and the American Musical shows how American culture influenced and altered these sixteenth-century plays so that they emerged anew, helping a twentieth-century audience to better understand its own time” (p.186). Dash focuses on five plays and their musical adaptations: The Boys from Syracuse (The Comedy of Errors); Kiss Me, Kate (The Taming of the Shrew); West Side Story (Romeo and Juliet); Your Own Thing (Twelfth Night); and Two Gentlemen of Verona. Dash moves easily between Shakespeare’s plays and the musicals inspired by his writing. Of course, there is the issue of adapting the plays and, in some cases, leaving Shakespeare’s language behind, and what that means for those who believe that the primary reason for studying Shakespeare is his use of language and not the plots, characters, or themes. 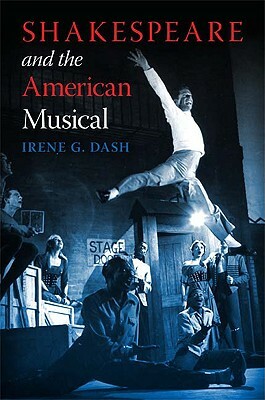 I fall into that camp, but Dash writes so convincingly about the significance of Shakespeare’s influence on the American musical, that it is difficult to take issue with the results of the collaborations between the musical composers and the Bard. The book is definitely worth reading.